Early 2001, I received my Real Estate license from the State of Texas. I was an active Realtor for approximately six years, until I accepted a job offer from CCAR (Collin County Association of Realtors) in late 2006. I worked in the IT department to help Realtors with any real estate related computer and software issues that they have needed help with for over two years. After that, I was promoted to the Government Affairs department as the assistant to the Government Affairs Director. Soon after leaving CCAR in 2009, I became a consultant for a local home warranty company. Then, I took on the most challenging experience of my life, becoming a stay-at-home dad to my small children for over four years. While raising my children full-time, I took the opportunity to put myself through real estate school a second time. This time was to become Professional Home Inspector. I have been licensed now since 2013, and I have been working with one of the best companies in the U.S., Burgess Inspection Group. This company has been in business for almost 50 years now. I have performed hundreds of home inspections. 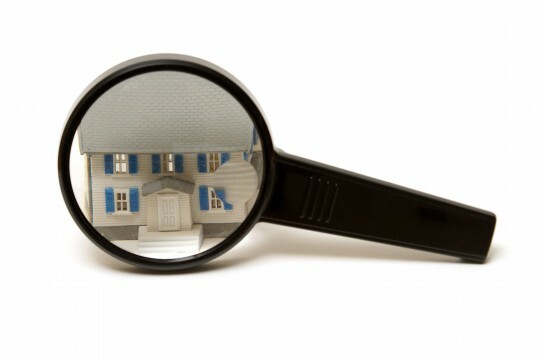 My inspections are very thorough, and provide quality information about your potential new home. You are about to make one of the biggest decisions of your life. Allow me to deliver peace of mind in your decision. The home should be all that you want it to be. I have been passionate about the real estate industry for over 15 years. I have made real estate my career, and I understand what it takes to make the decision of a lifetime. 15 years in the industry has taught me that purchasing a home is one of the most stressful times in anyone’s life. This decision cannot be made lightly, so you must have the best person or persons on your team to make the best decision for you and your family. Future has a talented team to help you with your inspection needs. When I represent sellers or buyers on real estate transactions, it is very important to have a trusted and respected inspector for either side. Whether its pre-listing for sellers or buyer inspection during option period. I am completely confident that Future will provide the best inspection experience. His service is truely Futuristic! Future Lilly inspected two homes I was interested in purchasing. The first home seemed really great, but after Future’s careful inspection, I was able to make an informed decision to not buy the home due to numerous issues that I was originally unaware of. The second home he inspected was a much better buy for me. I would like to take this time to thank you for your professional inspection of my “new” home. I want you to know how pleased I was to have YOU as an inspector. You were very professional and yet made me feel very comfortable. You were very patient with me, especially when following you around.